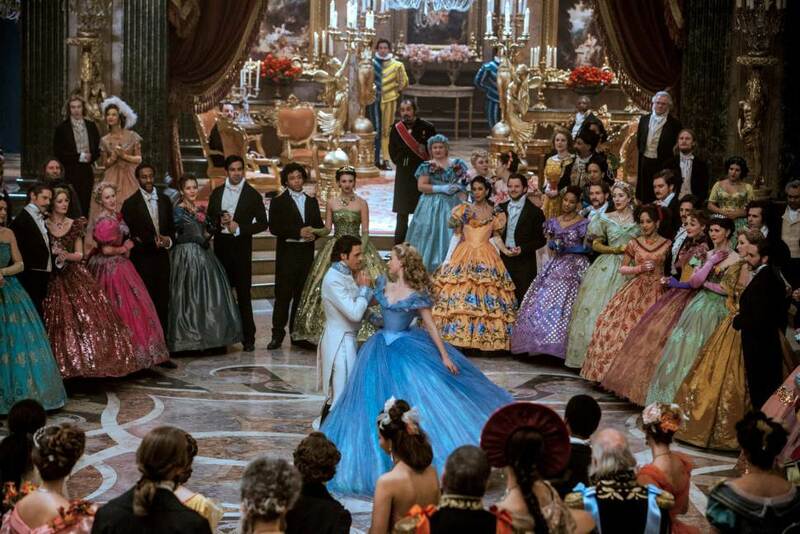 As mentioned in this month’s “In Theatres” segment, Cinderella was one of the featured films I was excited to be released in March. I finally went to see the live-action retelling of the Disney classic on Thursday and I absolutely loved how the story unfolded. 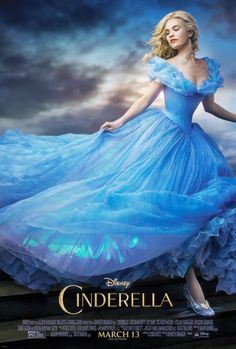 Cinderella begins with the introduction of young Ella who lives on a beautiful estate with her mother (Hayley Atwell) and father (Ben Chaplin). The Marvel’s Agent Carter star Hayley Atwell is wonderful in the role of Ella’s mother as she encourages her daughter to always have courage and to be kind to others. Mirroring the classic story, Ella’s mother sadly contracts an illness and dies leaving her alone to mourn with her father. As the years pass Ella grows into a beautiful young woman, played by the gorgeous Lily James, who spends her time reading, singing, and playing with the animals of the estate. After years of loneliness her father is eventually manipulated into marrying Lady Tremaine, played by the stunning Cate Blanchett. Ella’s living situation quickly worsens as she is left alone with her cruel stepmother and wicked stepsisters as her father continuously goes abroad on business trips. Then tragedy strikes as Ella’s father becomes ill on the road and doesn’t make it home before he passes away. 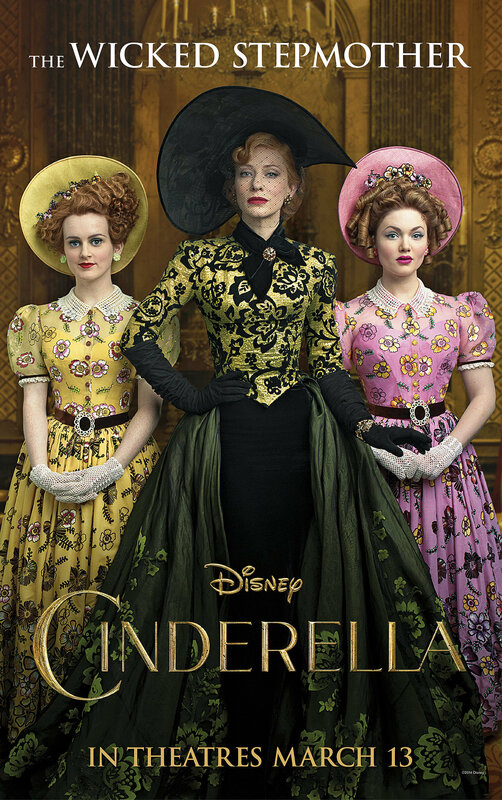 The servants are dismissed by Lady Tremaine as she is desperate for money, which results in Ella having to do all of the work of the household. After being crushed by their cruelty, Ella races into the woods on horse-back and runs into a hunting party and a young man named Kit. Unknown to her, he is actually the Prince of the kingdom, played by Game of Thrones star Richard Madden, and her kind spirit catches his eye. 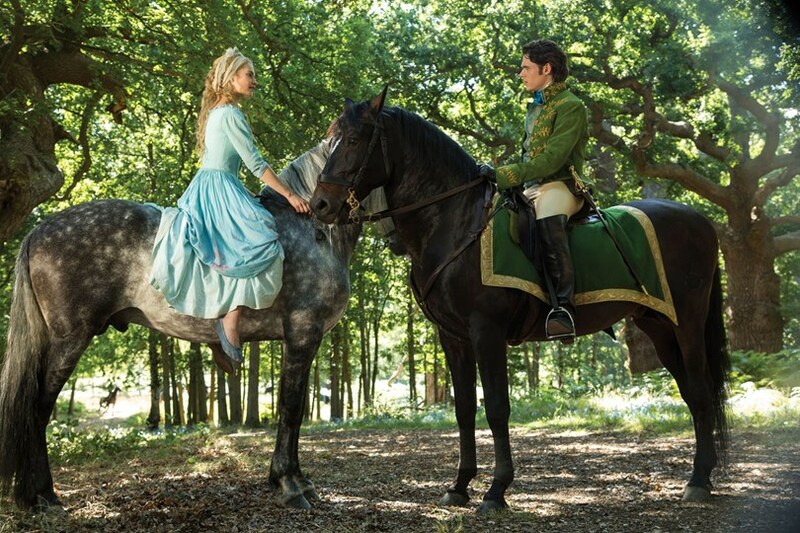 Similar to the classic story, Prince Charming holds a ball in hopes of seeing her again because his father has begun to pressure him to marry. 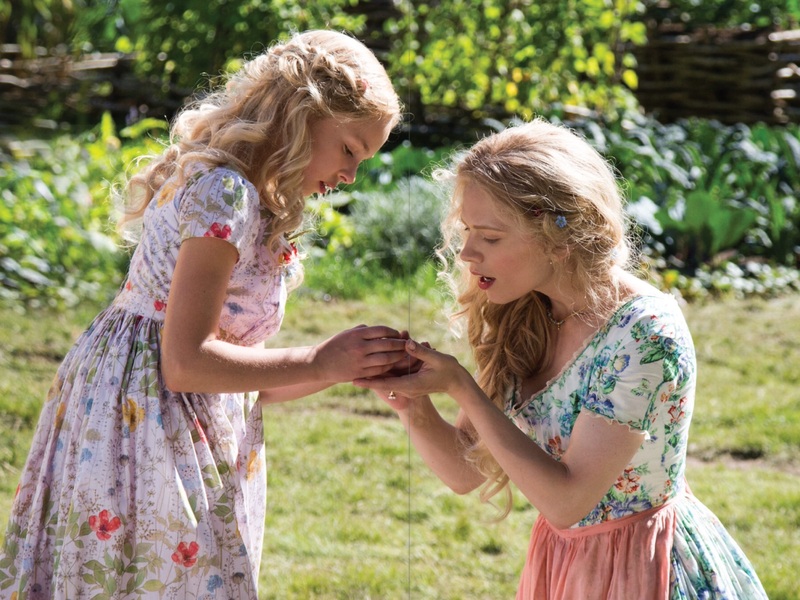 Ella becomes hopeful of seeing Kit again and begins to redesign one of her mother’s old dresses in order to wear it to the ball. To Ella’s dismay, her stepsisters destroy her dress and her stepmother forbids her to go. 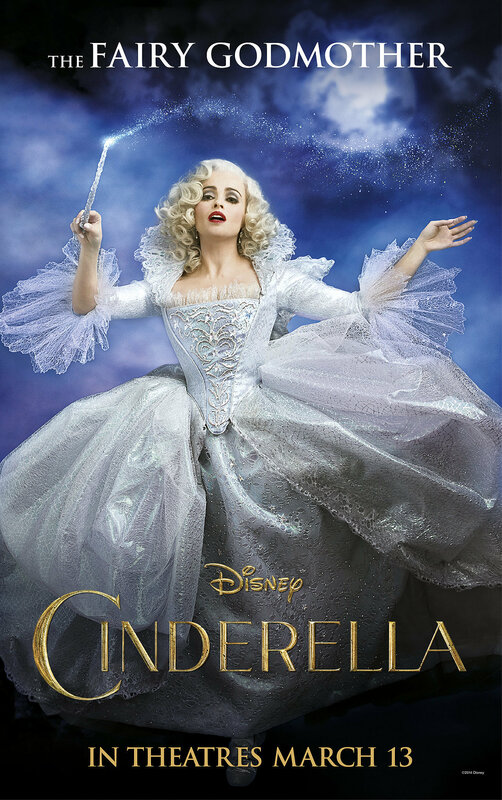 Ella is distraught and alone, but then enters my favourite character of the film … Helena Bonham Carter as the dazzling Fairy Godmother. Helena was everything I expected the Fairy Godmother to be and more! 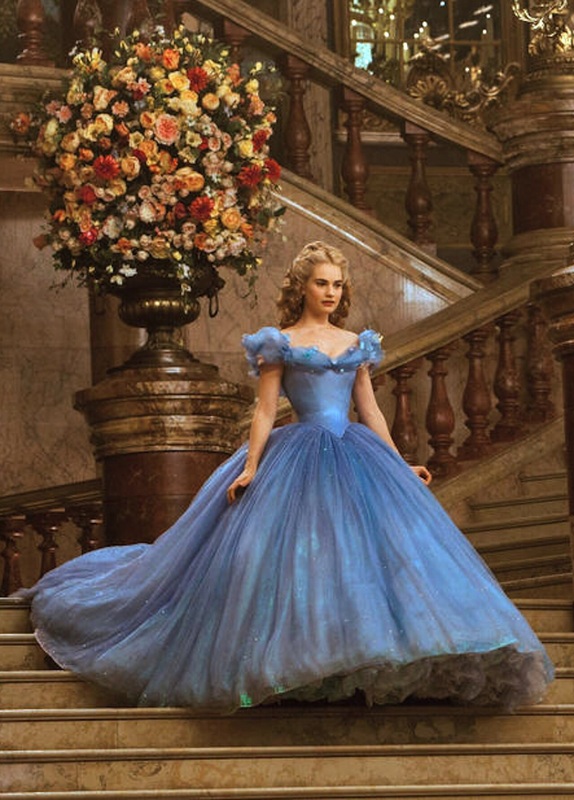 She creates a magnificient golden carriage out of a pumpkin, transforms animals into humans, and turns Ella’s dress into a gorgeous blue gown with a pair of sparkling glass slippers. She lets Ella know that the spell will run out at midnight and then sends her on her way! When Ella arrives she quickly silences the crowd with her beauty and Kit, who she soon realizes is Prince Charming, asks to have the first dance of the night with her. They then sneak away and have a wonderful evening together. But as the fairytale goes, she must be home by midnight so she quickly flees the castle leaving only one of her glass slippers behind. Ella stores the other shoe in her room as a memento and then leaves her dreams behind and gets back to the reality of her daily life. The ending portion of this 2015 film is a tad different than the 1950s animated classic, therefore I don’t want to give away any of the specifics. However, I will say that the very end of the film stays true to the classic tale as the two lovebirds get married and become two of the land’s most beloved monarchs in history, by ruling with courage and kindness. 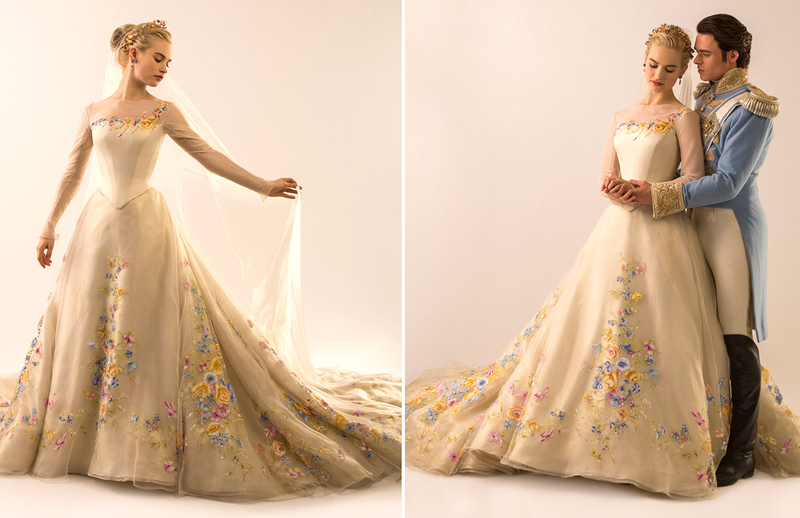 Lastly, I have to point out that the fashion of this film was breathtakingly spectacular! Hats off to three-time Oscar winner Sandy Powell for her design of these pieces that channel the classic animated film, as well as for the thousands of hours her crew put in for their creation. Check out the link below for a brief interview Sandy had with Vanity Fair, as well as the two photos of the stunning ball gown and wedding dress. Bonus: As usual, I wanted to include a video or two to give a more human element to the film. Check out the videos below for a few short interviews of stars Lily James, Richard Madden, and Cate Blanchett.